The Nantucket Fund is a unique fund established by the Community Foundation’s Board of Trustees as an endowment for our community. This fund was established to pool donors’ resources to help meet multiple needs of the Island and its people. In this way, the Nantucket Fund supports key community priorities identified through the Community Foundation’s convening activities. and may age gracefully with trust in the services they need and deserve. 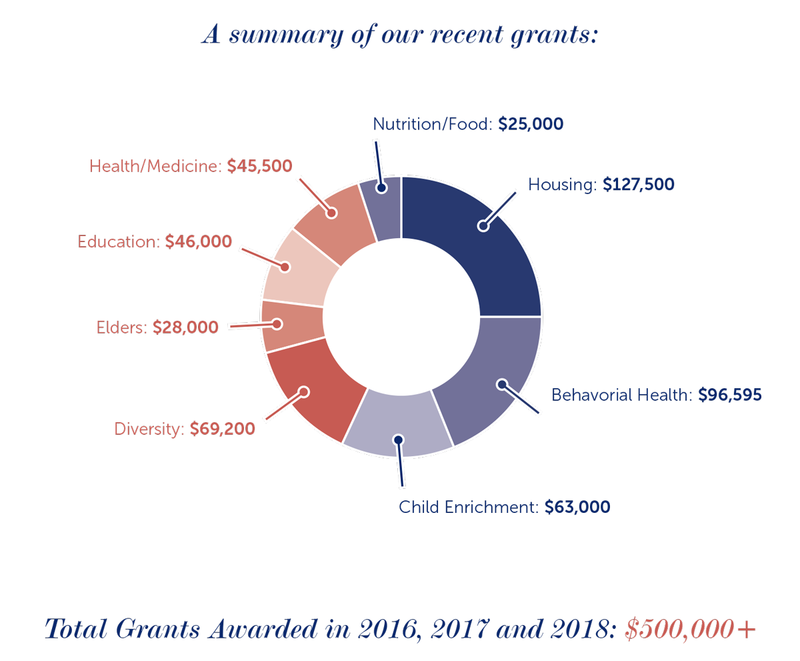 What is the Grant Making Process? The Nantucket Fund makes grants based on priorities determined through convening the Island’s leaders. Our Advisory Committee of health care workers, educators, clergy, police, town officials, the media and others, meet throughout the year to identify the Island’s most critical needs. Through an annual Grant Application process, the Nantucket Fund Grants Committee meets to discuss the applications, interview the applicants, and make suggestions to the Community Foundation’s Board. With the assistance of the Advisory Committee and Grants Committee, the Board of Trustees awards Nantucket Fund Grants to community organizations working to address the island’s most pressing needs. After awarding the grants, Community Foundation staff continues to follow up with the grant recipients through site visits, 6-month reports, and year end evaluations. The Nantucket Fund is the Foundation’s only discretionary grant making fund. Your donation to the Nantucket Fund will help all of Nantucket, and your generosity is needed now more than ever.